Since ancient years there have been reports of habitation in this historical mountain while in many periods of history, from ancient times till today great events occurred. 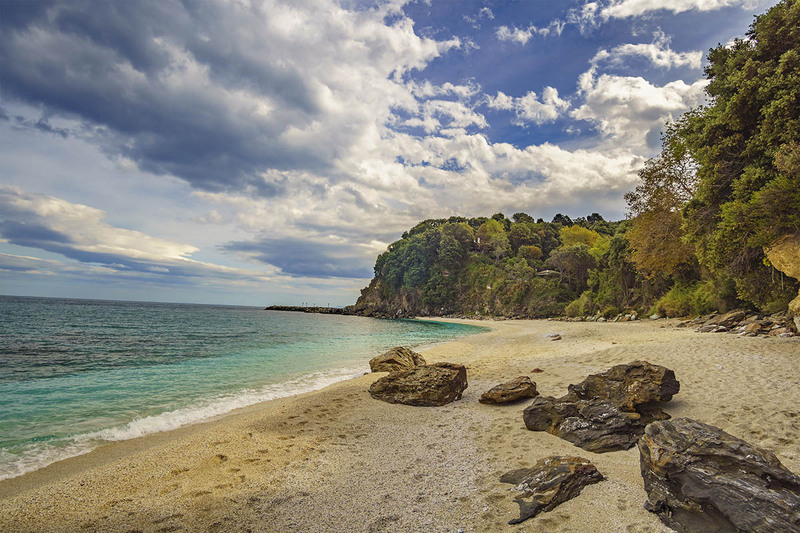 Traditions, legends, captivating myths and historical battles took place in the region of Pelion while legendary creatures, warriors and mythical heroes walked or lived here. Every region and village has its own unique folk story of habitation and naming of, all of which marked important events that made it widely known. 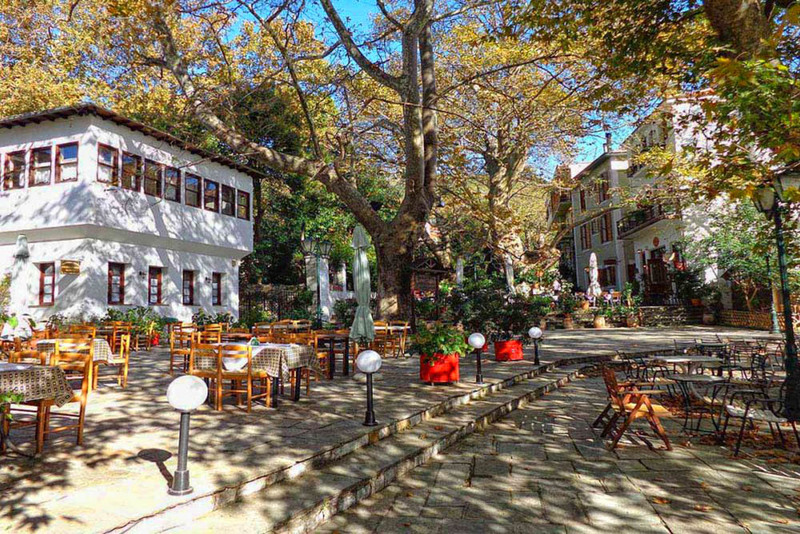 AThis beautiful and seductive mountain of Pelion with its fine environment and mystical atmosphere, could not fail to attract the ancient Greeks as a point of reference for many events of the Greek mythology. Beautiful landscapes, rich forested mountain slopes, villages hidden in verdure, steep gorges and cliffs, impressive mountains, melodiously flowing waters and charming beaches are just some of the features of the exquisite nature of Pelion, the mountain that is suitable for visiting all year long offering unique images of morphological transitions and contradictions that remain memorable. It flawlessly combines the mountains green with the sea’s blue, while the rich variety of natural beauty makes it ideal for activities within nature such as horse riding, hiking, mountain biking, swimming, scuba diving, water sports and also alternative tourism. On summer, the mountain resembles paradise. The greenery offers breeze while the trees offer shade and rest, the wildflowers and herbs offer scent and accompany the walks while the beaches are filled offering to visitors lifetime swimming experiences. The view from above towards the distant and serene blue horizon is magical while the striking sunsets and the cool nights under the clear sky moonlight, awake the senses. During autumn, the most dismal period of the year, the mountain has its own special beauty. The trees prepare to get rid of their leaves and the green color gives away to the colors of the rainbow. The rich chestnut and walnut trees come into picture with squirrels intensively working on top of them while the rains and the strong winds create an atmosphere of melancholy and contemplation. Winter finally finds here the best refuge since plentiful snow leads to imposing mountain peaks.In the area of Agrioleukes, around the surviving beech and pine trees is the Ski center, which is inundated with thousands of winter sport fans. However, milder temperatures and more vegetation are present in most lowland areas of Pelion that enjoy gentler winters. The Pelion region was, as the legend says, the summer residence of the Olympian Gods as well as the country of the Centaurs. it is a striking, bright green region between Pagasitikos Bay and the Aegean Sea. On top of it, the divine weddings between Pileas and Thetis took place. The villages, each with its own history, sown on the slopes of the mountain are unbelievable in beauty where the scenery leads into the embrace of the sea, in the deep blue of the Aegean Sea on the eastern side and the blue waters of the Pagasitikos Bay from the West side. A well-known destination, village Portaria is “climbing” to the side of mountain Pelion, at 500m altitude, covered with luxuriant vegetation and multi-colored aromatic flowers. 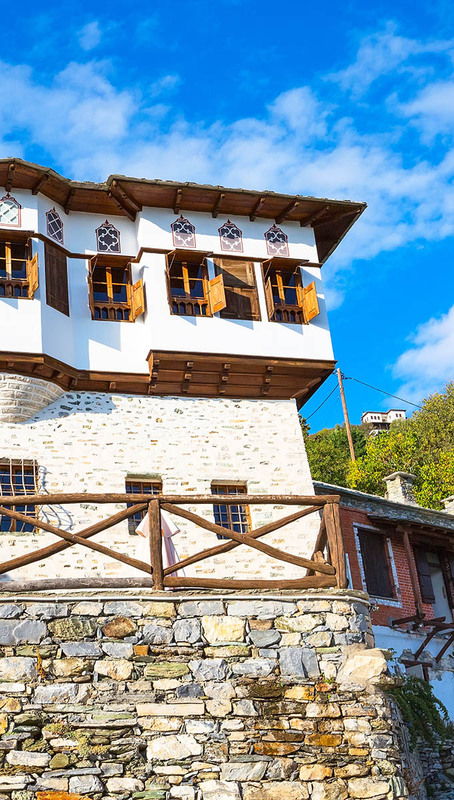 The settlement had been developed around the small church of Mother Virgin of Portarea (1200 a. C.) and became the most significant settlement and trade center of Pelion.Portaria is renowned for its mansions, squares and natural beauties. 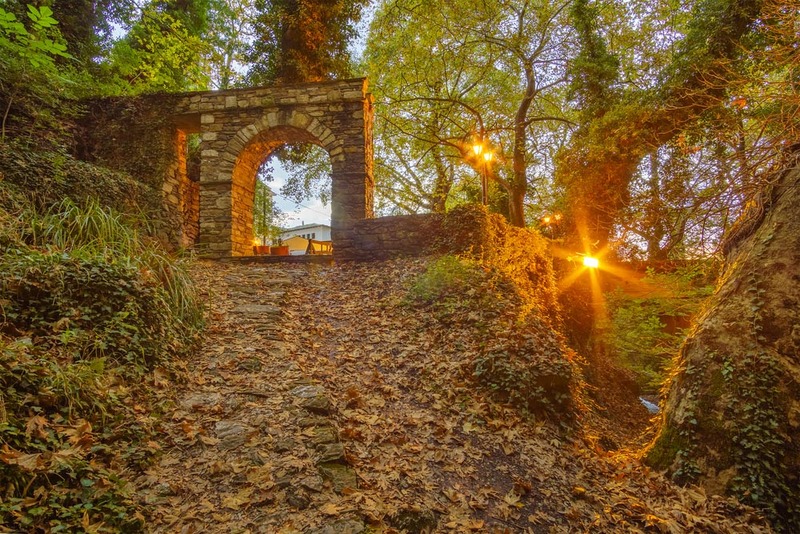 The cascade “Karavos”, the “Manas” sources, the old stone-built churches, the cobbled roads, the blossomed court yards are some of the sites that invite you to visit Portaria. 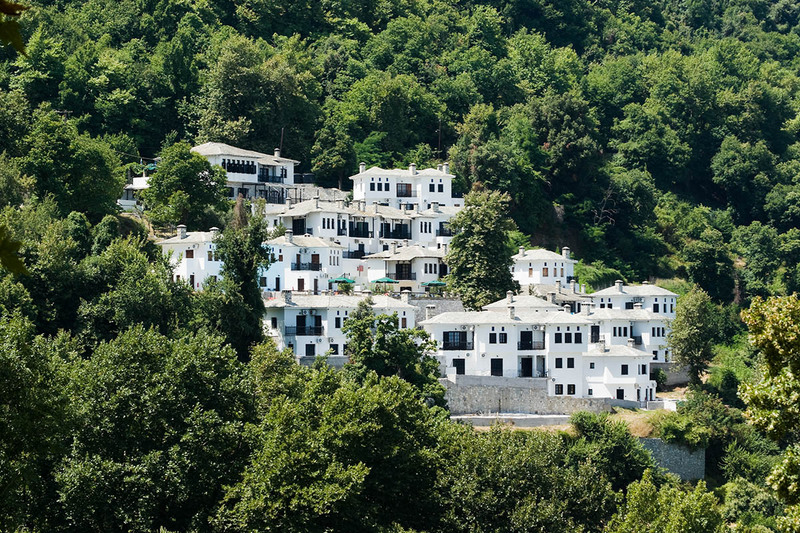 For the ones who love the mountain and the potentials it offers, Portaria is the ideal anchor point since its situated near the ski resort Agriolefkes (12km), near the beautiful beaches of east Pelion and Pagasitikos and also very close to the city of Volos. 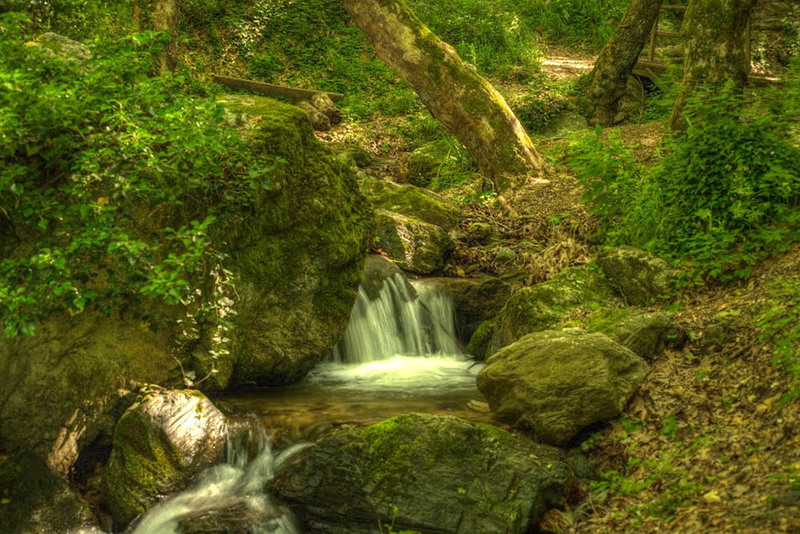 Starting from Portaria, the visitor can explore the small villages of Pelion and enjoy the most picturesque walks into plate-trees forests with running waters. 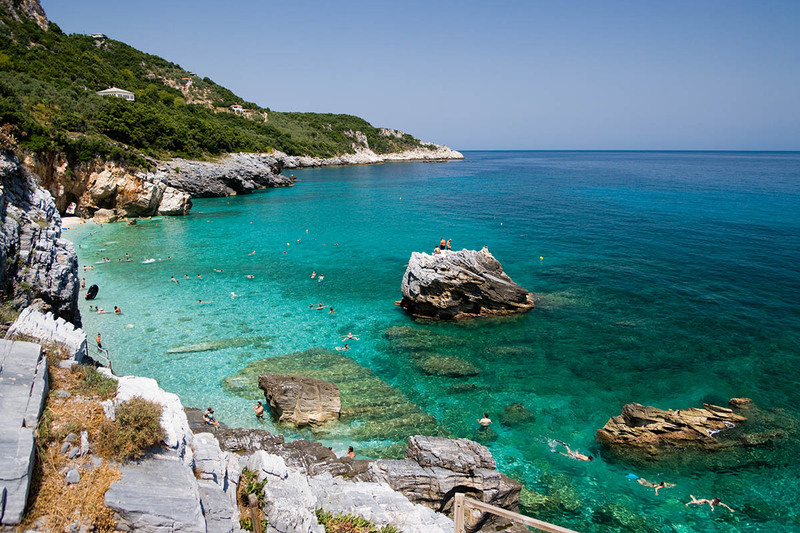 Today Portaria is a leading force in the tourist development of Mount Pelion. A pole of attraction for many tourists, yet maintains its quaintness, with magnificent mansions, taps, the Folklore Museum and local celebrations.